I have always been a “word” person. About age ten, I was writing skits for the neighborhood kids to perform on our front porch – while our adoring parents sat in dumpy folding chairs and applauded wildly. I got better at writing as the years rolled on and launched a career in free-lance writing and journalism. I have had articles published in Guideposts, Christian Standard, and other small magazines as well as being an editor of employee publications for a major life insurance company and a manufacturing company. 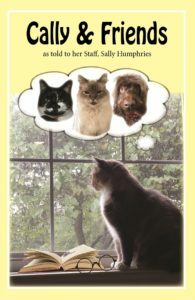 Cally Tales was my first book, based on the real-life adventures of my calico Cat and her thirteen furry friends. Cally was rescued from a busy road where she was dumped as a tiny kitten and left to die. That was nine years ago, and now she is an expert on eating and sleeping — and has an opinion of almost everything. When she decided to write a book and give her opinions to the world at large, I agreed to help. Then she started adding stories of her other friends, and the rest is history. That was in 2017, and the stories keep rolling in. By 2018 Cally began to think about a new book for her new friends. It started with the incomparable Suki and his walkabouts in the backyard. How could that be? Suki was an indoor cat. Then Cally met Calvin and Hobbes and Tess, the feral cat who gave up her wild life for life on a farm. Along came Reckless who would not take “no” for an answer. Then Trucker, the magnificent, who was so persuasive he convinced Cally to broaden her horizons to include d-o-g-s.
Bella and Buffy, the adorable Shih-Tzus, had already captured the heart of Cally’s staff, so what was she to do? The floodgate had opened, and in walked Wally and Murphy and Sugar and Freddy and Rags — to name a few. Enjoy Cally & Friends and don’t hesitate to send fan mail. Cally loves to be admired. As for me, Cally’s staff and scribe, I have written my own book on a totally different subject. It’s for history buffs and should be available in February or March. 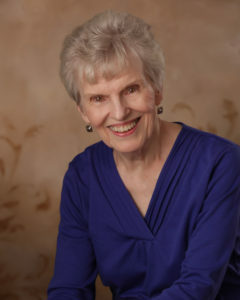 Sally Humphries is a member of Windmore’s Pen-to-Paper program. Check out Sally Humphries latest book Unsung Heroes. It is now available on Amazon.